This article was revised in February 2018. The fitness industry in Thailand was in its infancy when I first arrived here 12 years ago, but it has matured into a strong scene now with some first-class fitness training available to expats and locals. Here’s my guide to the main gym and health club options in Bangkok. The vision at BASE was to bring a fitness studio to Bangkok that would rival anything found in top international fitness cities such as New York and London. BASE combines HIIT and strength training for the best possible results in burning fat and building muscle. BASE uses a science and data-driven approach to your results that leaves nothing to chance. They have an industry-leading InBody machine which accurately details your body fat and muscle mass percentage. BASE also offer a monthly fitness assessment called BASELINE for all of their group class and personal training clients that shows how your cardio and strength is improving. BASE currently has two locations – BASE Thonglor joins onto Thonglor BTS and BASE Sathorn is connected to Chong Nonsi BTS. With this information the coaches at BASE can accurately see how your training and nutrition is affecting your body and we can make adjustments along the way to ensure your making steps towards your goals. For more information, contact BASE. This all-encompassing pass has proved a big hit in Bangkok since it launched 3 years ago. With Guavapass you have the option of visiting a range of studios and gyms around the city, making it perfect for those wishing to try out different offerings or as a cost effective way to train multiple disciplines like yoga, pilates and fitness. This gym chain has replaced California Wow as the loud, brash player on Bangkok’s fitness market. Their marketing strategy has had them driving trucks of young models around the city dancing to pumping house music, screaming for attention. I’m all for a bit of eye candy to liven up Bangkok’s traffic so they get a thumbs up from me on this point alone. Other than driving models round the city, they also have a network of 3 fitness centres: Esplanade Ratchada, Ekkamai near the BTS and Ratchayotin up near Chatuchak. The machines and free weights are well equipped so if you’re looking to do your own training at a budget price, check them out. They also have classes and personal training available for Powerplate, kickboxing, antigravity yoga, Pilates and Synergy 360. Membership includes access to all branches. This fitness chain powerhouse from the UK touched down in Asia with a Singapore branch recently and have just opened their first club in Bangkok at Empire Tower, Sathorn. They have quite a health club vibe with salt rooms, sleep pods (I could do with one of these) and fancy showers. They also have all the latest, expensive machines that even count your reps. This kind of thing isn’t for me but if you want a smart, plush gym where you can chill as well as train then this is definitely worth visiting. The coolest thing I haven’t mentioned? They have a climbing wall! The world’s biggest fitness chain have a network of 25 fitness clubs throughout Bangkok. Some of their branches are older gyms with all your standard, traditional gear, whereas the newer gyms such as the one at Siam Paragon and Terminal 21 have a lot of newer equipment and kit such as TRX, kettlebells etc. Fitness First offer a broad range of high-quality gym equipment imported from abroad. You can also use your international membership (Singapore and UK, to name a few other countries where they have a presence) to access their gyms. They offer a 3-day free pass at reception on enquiry or through their website. On my last update they had 9 branches, now they only have one branch near Silom. You can get a free pass on their website so check them out if you’re round that way. There are now 5 Crossfit boxes in Bangkok: Crossfit Arena, Crossfit BK, Crossfit 10500 and Training Ground and Thonglor Crossfit. 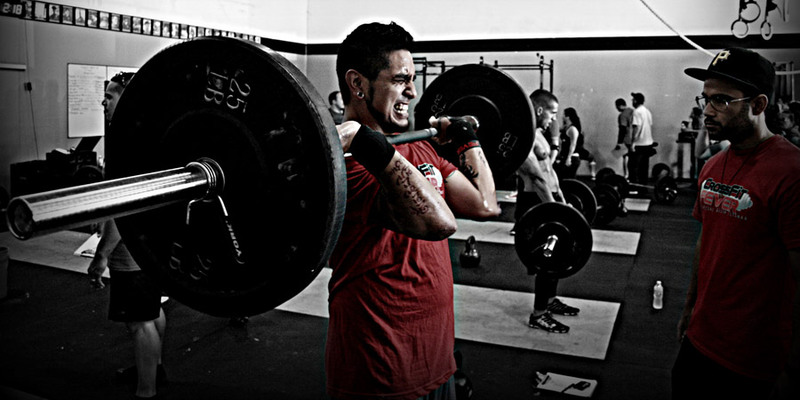 I would class Training Ground as the premier Crossfit in Bangkok – they’ve a big warehouse walking distance from Phra Khanong BTS. Spacious, well located and with a retro vibe, RBSC offers a huge array of sports. They have a 50 metre Olympic pool, 16 tennis courts, driving range with golf course and an indoor sports hall with basketball court, to name a few. Not a gym, but worth a mention as FIT offer personal training qualifications for fitness professionals in Bangkok. They offer ACE certified courses to be a fitness trainer as well as numerous other courses covering all aspects of fitness. They also offer group class training at their premises neat Ploenchit BTS. Check their website or contact them for more info on this. Described as an ‘exercise exploration centre’, New Moves is centrally located right next to Chidlom BTS and is more of an open training space for personal and group training, rather than a traditional gym. Their approach aims to break free from restrictive and dated methods of exercise with more experimental and progressive training methods that yield enhanced movement and better results. The Edge is a beautiful training facility near Phrom Phong BTS offering group class and personal training. Their equipment is top-notch with Rogue throughout and probably Bangkok’s biggest sled track. 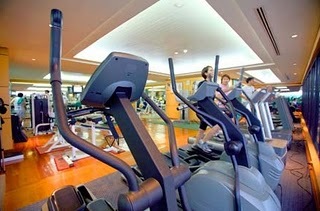 There are countless, perhaps 100-200+, health clubs and gyms in Bangkok’s hotels, apartments and condos. They are usually quite expensive and not well equipped in terms of fitness equipment, but they are usually quieter and often come with luxury extras such as swimming pools, jacuzzis, saunas etc. Every one of the many 5-star hotels in Bangkok would offer a health club/gym of some kind and will take memberships from outside clients.